Here are the following Facts about The First Moon Landing which you need to know the information about it. For hundreds years, human want to be the universe explorer. Many projects were made by different countries to explore the world outside our earth. One of the famous projects is Moon landing. This landing includes both manned and robotic missions. They sent the explorer on the surface of the moon. For further information, check the lists about the First Moon Landing below. The spaceflight was used in the first moon landing was Apollo 11. It had three parts: a Command Module with a cabin for the three astronauts, and the only part that landed back on Earth; a Service Module, which supported the Command Module with propulsion, electrical power, oxygen, and water; and a Lunar Module for landing on the Moon. In this first moon landing mission, Collins designed insignia as a symbol for “peaceful lunar landing by the United States”. An eagle with olive branch in its beak and a lunar background with the Earth in the distance were chosen as the symbol. There are three persons in the Apollo 11: Neil A. Armstrong as commander, Michael Collins as command module pilot and Edwin “Buzz” E. Aldrin, Jr. as lunar module pilot. In this mission, Neil Armstrong and Edwin Aldrin collected 47.5 pounds (21.5 kg) of lunar material for return to Earth. Apollo 11 landed in the “West crater” with less fuel than other missions, and the astronauts encountered a premature low fuel warning. 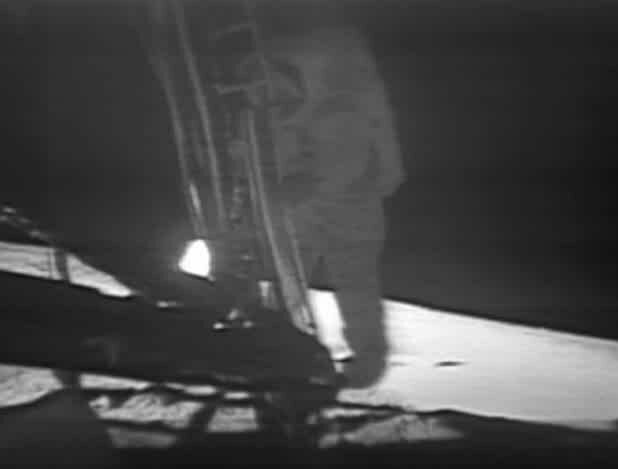 Armstrong took semi-automatic control and, with Aldrin calling out altitude and velocity data, landed at 20:17:40 UTC on July 20. At that time, Armstrong stepped off Eagle’s foot pad and uttered his famous line, “That’s one small step for a man, one giant leap for mankind”. After the safe landed of the astronauts, they rode in parades in their honor in New York, Chicago and Los Angeles. On the same evening in Los Angeles there was an official State Dinner to celebrate the flight, attended by members of Congress, 44 governors, the Chief Justice of the United States, and ambassadors from 83 nations at the Century Plaza Hotel. Three days before Apollo 11’s launch, the Soviet Union launched Luna 15, which reached lunar orbit before Apollo 11. Unfortunately, a malfunction caused Luna 15 to crash in Mare Crisium about two hours before Armstrong and Aldrin took off from the surface. Those are some Facts about the First Moon Landing. Perhaps, after reading those facts you will have additional information about it.